FAQ » Can You Trace People Through Their Social Security Number? Finding anyone in today’s world is not easy especially when it comes to finding people whose details you do not have. The person you are looking for could have lived in this state today only for them to relocate to another state tomorrow. However, you are in luck if you have their social security number. 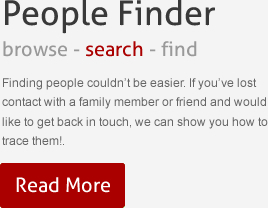 Having this number makes it very easy for you to find the people you are looking for. Here is how you can locate those you are looking for through their social security number. You cannot locate a person through their social security number (SSN) if this number is not valid. Therefore, the first step you should take is to verify this number. You can confirm its authenticity with the person or the organization that gave it to you. You should also check its format to ensure that it follows the normal SSN format. In other words, check to see if the social security number you have has three digits followed by a dash, then two digits followed by a dash and finally four digits. You can find this database at ssdi.rootsweb.ancestry.com/. You will not incur any charges while checking through this database. It is also important for you to note that you will not find the person you are looking for in this database if that person is alive. However, it is still important to go through the database because it allows you to make sure that the social security number you have does not belong to a dead person. This is especially important when you are performing background checks on people that you do not know very well. This is because many unscrupulous people will use the social security number of deceased people as they try to cheat the system. Google alone processes more than one billion searches on a daily basis. This means that it has a lot of information stored in its system including the details of the social security number that is in your possession. You can quickly perform a search on Google with the social security number as your search term. You can modify the social security number as a search term in a number of ways. For example, you can type it with the dashes, without the dashes and in quotes. You can also try other search engines such as Bing, AOL and Yahoo. Sending a letter through the social security administration is a simple and easy way of communicating with the person you are looking for. This is especially when it comes to emergency cases. All you need to do is to go to this website i.e. http://www.socialsecurity.gov/foia/html/ltrfwding.htm and forward your letter to the person you are looking for through their social security number. However, this method may be unnecessary if you do not have to contact the person you are looking for immediately. You should also think about performing a background check on the person you are looking for through their SSN. This is especially important if you have dealings with this person that are of a personal nature. For example, you cannot rent out an apartment to just any person or hire anyone for a job without knowing the person. You have to find out more information about such people before you strike deal with them. Moreover, you need more information than the information that is currently available in the public domain. Hiring the services of a background checking company can get you this information at low price of only $50. 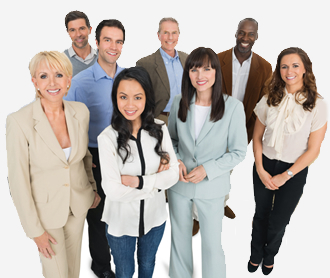 Perform a background check today and know more about the person you are looking for. ← How Can I Use A Reverse Lookup To Track A Cell Phone?